The introduction of Artifact weapons in Legion has done something I’ve wanted Blizzard to do for years. Except that it’s done it in a far larger and more grandiose way than I ever expected, and for that reason I’m extremely fond of them. 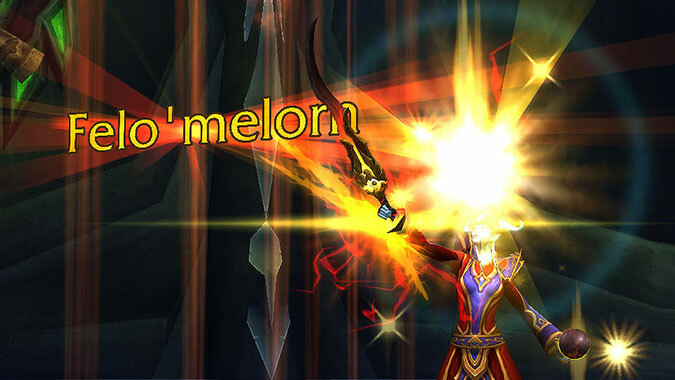 Back in Vanilla, a few classes had weapons that gave them class specific quests to achieve. Hunters had Rhok’delar, Longbow of the ancient Keepers. Priests has Anathema/Benediction. And for Warriors and Paladins there was Quel’Serrar. These weapons were more than just very good, sometimes among the best available (you could tank with Quel right up into Naxx and never actually needed another weapon, although we all wanted Thunderfury), they were also story engines. They delivered tailored quest content that gave you a special experience, something that you could only get by being eligible to do the quests. I’ve been arguing that I wanted to see this kind of content returned to WoW. 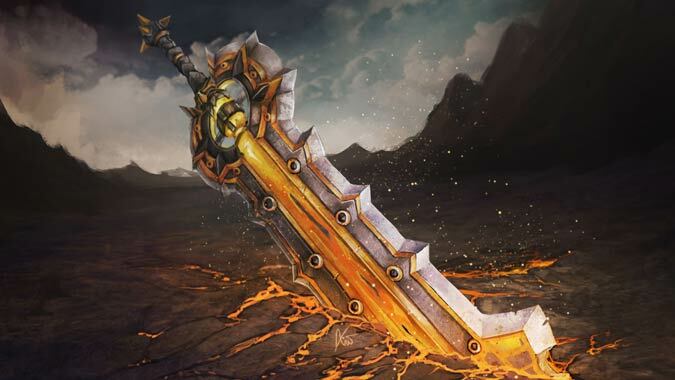 And in Legion, every class got multiple weapons like this — each Artifact didn’t just give your class such a series of quests, it gave your spec a quest. For most classes this means that there are three such questlines, and that’s kind of amazing. But to my eyes, that’s a good thing for a few reasons. First, the quest becomes something people of a certain class have in common. Warriors can all talk about getting Strom’kar or the Scale of the Earth Warden, Hunters can discuss Titanstrike, Paladins can share the Ashbringer story. It feels distinct. Something that’s often lost in MMOs is a variation in experience — we all do the same world zones, the same dungeons, the same raids. The feeling of discovery gets flattered out. Legion combats this in a few ways: it’s enormous with quests hidden all over the place, randomized World Quests constantly pop up, and then there’s Artifacts. That Druid with his two fist weapons had a completely different experience than your Demon Hunter with his Aldrachi Warblades. That’s cool. That’s class flavor. 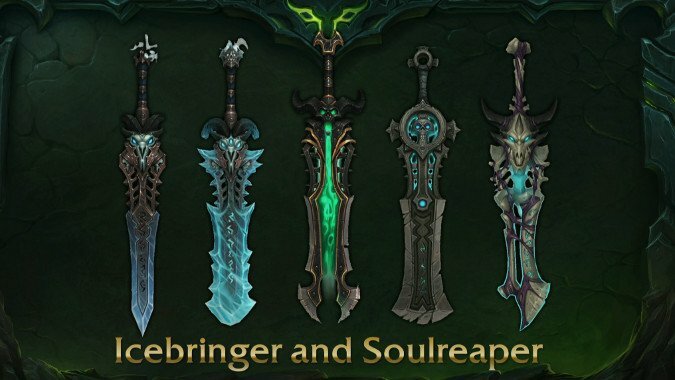 Legion has taken something we saw in vanilla for a few weapons and given it to us for thirty-six specializations. 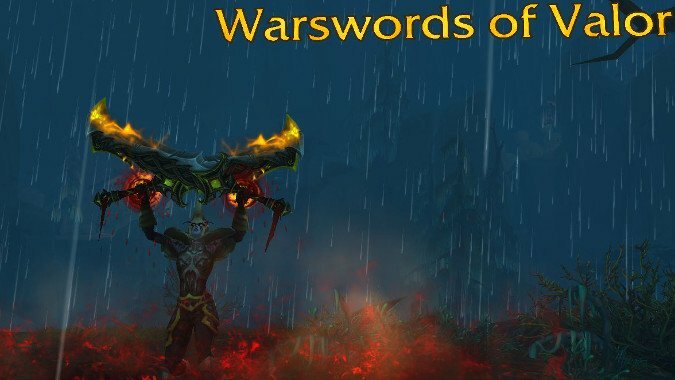 Artifact weapons also do something cool we haven’t gotten nearly enough of in WoW: they reach back into the gameworld’s history to bring story elements that aren’t directly connected to the current story to the fore. Some Artifacts are clearly tied to the threat of the Burning Legion and the invasion of Azeroth. But others are not — and these Artifacts bring elements of the game that have sometimes lain fallow for years back to the fore. Thas’dorah contributes to the mystery of where Alleria Windrunner has ended up, while we all know the Ashbringer. 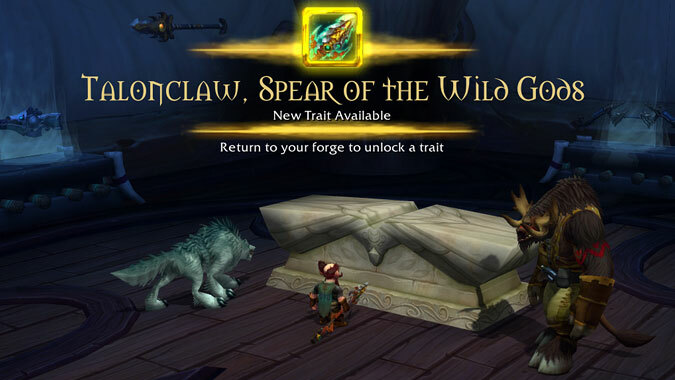 Some of the Artifacts invented for Legion have brought stories from years past forward — Felo’melorn is tied to Icecrown Citadel, Aluneth reveals secrets about Aegwynn, Strom’kar connects ancient Humanity with its Vrykul origins and is the weapon that won the Troll Wars. This is something that makes Legion feel far more connected to World of Warcraft as a whole. We’re facing a real, present threat, but it’s taking place in the same world we’ve been adventuring through for years. That world doesn’t stop just because we’re under attack from the Legion. Indeed, that world leaps to its own defense. 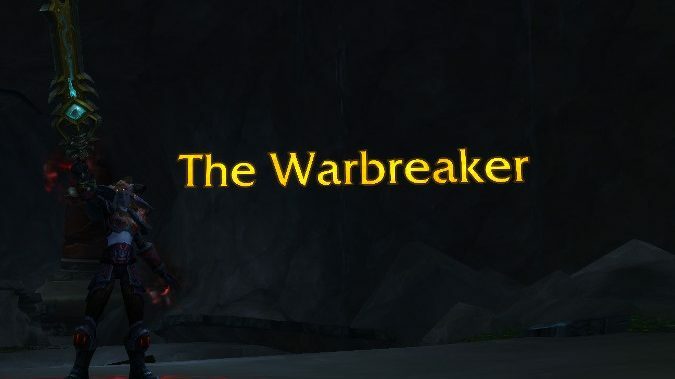 To me this makes for an excellent reason to play my alts (and not just my Warrior alts, as would be the case in previous expansions): I want to see these stories for myself. I’ve already done Death Knight, Paladin, and Demon Hunter Artifact quests and I’ll likely do Shaman and Hunter this week. I’m motivated to do them. And I’m motivated entirely by the chance to see the story unfold, to actually experience becoming a part of the legends of these weapons. I’m actually considering leveling my Druid for the first time since I stalled out in Cataclysm just to get to see those four Artifacts in action. Far from cutting off content from people who don’t play a certain class, the Artifacts are a reward for playing said class and a carrot to get you to play one. Maybe you won’t level it past 100, but you’ll get to see some really epic bits of the world’s lore in the process even so. Artifact Knowledge is, on the face of it, a pretty boring mechanic that lets you catch up in terms of your second and third Artifact. That is, until you start reading the story of your Artifacts as it unfolds through the research process. This makes that process worth doing not just so you can get your other specs reasonable weapons, but also so you can find out more about the weapon you’ve chosen. I’ve spent a lot of time reading up on my Strom’kar’s history thanks to that, and it’s pretty interesting. I also like how certain Artifact appearances are unlocked by achievements, the completion of certain quests, and other game milestones. This allows you to see the game’s story change the weapon, and that’s a really interesting mechanic that brings the lore home. You’ve completed your class order hall story, and with it, unlocked a whole new skin for your Artifact. 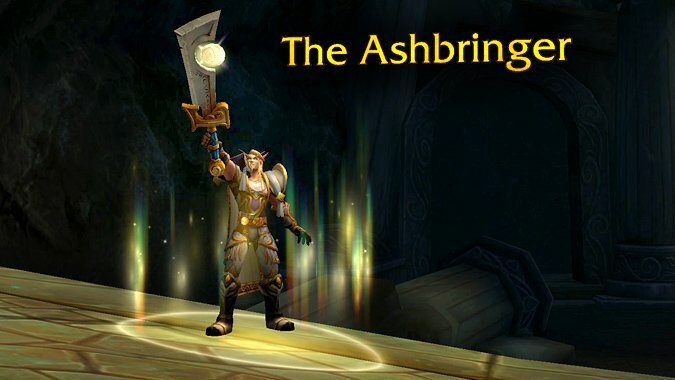 You’ve done the Light’s Heart questline, or unlocked all the traits on an Artifact. It’s all about what you did, your own personal story, and that’s pretty awesome. I know that when Odyn empowered my Strom’kar it felt very personal, made the story I’d just played through feel more important. It was my story. I’m generally pretty happy with Artifacts as a system. I hope Blizzard can find a way to do something this cool and lore-focused in its next expansions. I don’t know how, though. So far, despite my love for weapons like Ashkandi, I haven’t transmogged over my Strom’kar once, just because of how much I enjoyed getting it.